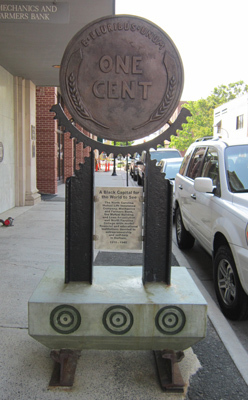 Description: This pedestrian-scale bronze sculpture is the third in a series of six monuments documenting "Black Wall Street" in Durham. 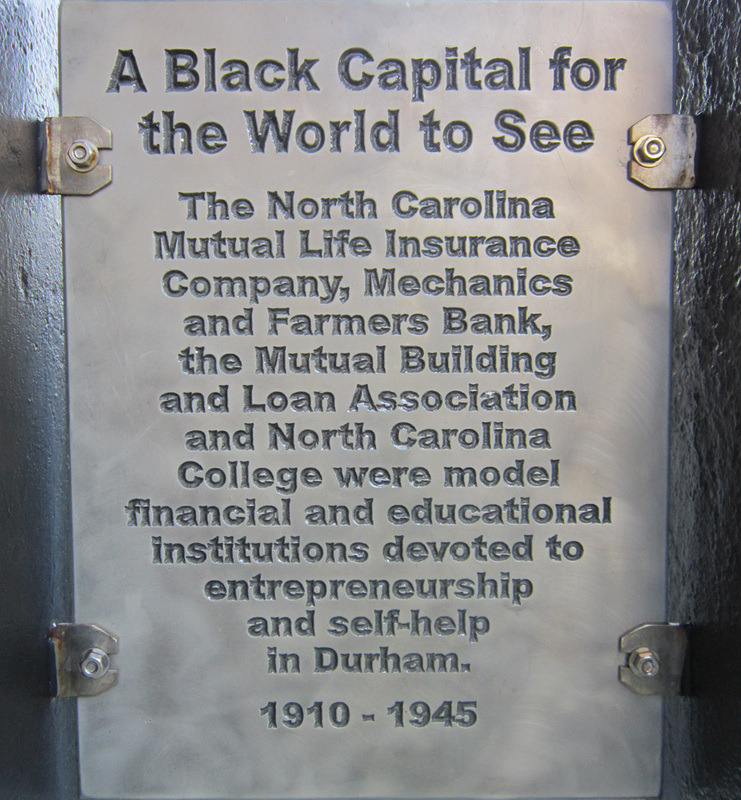 The sculpture highlights how institutions such as North Carolina Mutual Life and North Carolina College (now, North Carolina Central University) worked to facilitate black entrepreneurship in the Durham area. Subject notes: This sculpture honors the contributions of four key institutions in spurring black entrepreneurship in the Durham area. Those four institutions are the North Carolina Mutual Life Insurance Company, Mechanics and Farmers Bank, the Mutual Building and Loan Association, and North Carolina College. N.C. Mutual Life was the first black-owned insurance company in the United States. North Carolina College, which would later become North Carolina Central University, was the first public liberal arts university to support black students. Location: The sculpture sits on historic Parrish Street, which is better known as "Black Wall Street." It is part of a series of six sculptures each commemorating important pieces of Durham's history.